(Chris Detrick | The Salt Lake Tribune) Chad Blythe and his son Logan, 15, embrace during an interview at VF Law in Salt Lake City, Friday, March 16, 2018. Over the past four years, Logan Blythe has worked every week to line his green Boy Scout sash with merit badge after merit badge to earn enough to meet the threshold to try to become an Eagle Scout, the highest rank in the Scouts. Logan, 15, has Down syndrome, but local Scout officials assured his parents over the years that despite his limited verbal skills and other developmental delays, he’d be able to progress in the Scouts just like any other member; his scoutmasters would modify badge requirements so Logan could meet them, said Logan’s father, Chad Blythe. “All those [badges], he just literally did the best he could, and our local leaders accepted it and were happy with it,” Chad Blythe said. Everything seemed fine as the family prepared Logan’s Eagle Scout project and submitted it to Utah National Parks Council, Utah’s chartered Boy Scouts of America partner. Local officials approved the project on Nov. 9, and the family went home happy, Chad Blythe said. The next day, the Blythes got an email that changed everything. After local officials heard from the national group (which approves all Eagle Scout projects), Logan’s project was suspended and the national group effectively voided every merit badge he earned since graduating from the Cub Scouts to the Boy Scouts — because Logan didn’t follow the merit badge requirements exactly as written to earn the badges, Chad Blythe said. (Chris Detrick | The Salt Lake Tribune) Chad Blythe and his son Logan, 15, embrace during an interview at VF Law in Salt Lake City Friday, March 16, 2018. (Chris Detrick | The Salt Lake Tribune) Logan Blythe, 15, smiles during an interview at VF Law in Salt Lake City Thursday, March 15, 2018. 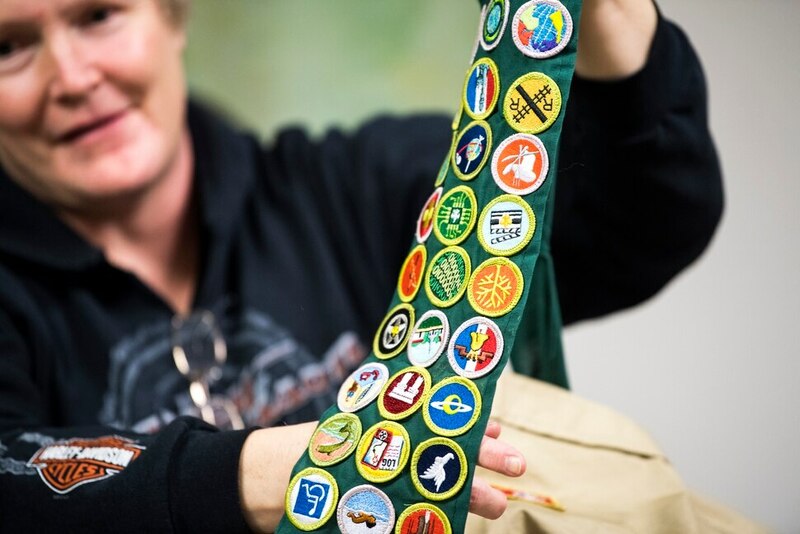 (Chris Detrick | The Salt Lake Tribune) Diane Blythe shows the Boy Scout merit badges her son Logan earned. (Chris Detrick | The Salt Lake Tribune) Chad Blythe and hugs his son Logan, 15, during an interview at VF Law in Salt Lake City Friday, March 16, 2018. (Chris Detrick | The Salt Lake Tribune) Attorneys Alyssa Wood and Ted McBride discuss the Blythes' case during an interview at VF Law in Salt Lake City on Thursday, March 15, 2018. (Chris Detrick | The Salt Lake Tribune) Chad Blythe and his son Logan, 15, talk during an interview at VF Law in Salt Lake City Friday, March 16, 2018. (Chris Detrick | The Salt Lake Tribune) Diane Blythe speaks during an interview at VF Law in Salt Lake City Friday, March 16, 2018. The decision amounts to discrimination, Chad Blythe said, and the Payson-based family is taking the Scouts to court over it. Blythe is asking for at least $1 in damages and for his son to be reinstated and accommodated within the Scouts, according to a lawsuit filed Tuesday in 4th District Court. Saying they intentionally inflicted emotional distress, the family is suing the Boy Scouts of America Foundation, the National Boy Scouts of American Foundation, the Utah National Parks Council and individuals working for the council. The lawsuit focuses on Logan’s experience and the emotional toll it took, but one of the Blythes’ attorneys, Ted McBride, said he hopes the implications from the suit spread and overturn Boy Scout policy that, he says, allows discrimination. But Logan hasn’t been kicked out, according to Boy Scouts of America spokeswoman Effie Delimarkos, and the changes the Blythes reference were revisions to the eligibility policy. Despite the committee’s decision on Logan’s Eagle Scout project, he is just as welcome in the Scouts as anyone else. “In fact, he was recognized at a special event in January to celebrate his commitment and love of Scouting,” she said. She disputes the assertion that the decision was discriminatory and says the organization offered the Blythes “a path to earning alternative merit badges based on [Logan’s] abilities,” as well as additional time to complete the badge requirements. To qualify for Eagle rank, a Scout must meet the requirements by age 18. Delimarkos also said the policies that require all Scouts to earn their merit badges by going through the same or similar process as all others promotes equity, and that even if Scouts don’t earn badges, they still get something from the experience. She added that about 6 percent of Scouts earn Eagle rank. “It is the highest rank. It is very prestigious, but it’s not by any means the only way to experience the program and to benefit from the program,” Delimarkos said. Chad Blythe said that even with modifications, Logan likely wouldn’t be able to meet the merit badge qualifications. Since coming to Utah from Illinois four years ago to find better schooling for their son, Diane and Chad Blythe have watched Logan grow by “leaps and bounds,” Chad Blythe said. Logan’s speech has improved. So has his dexterity. And in Boy Scouts, Chad Blythe said Logan found an accepting group of boys and made friends. 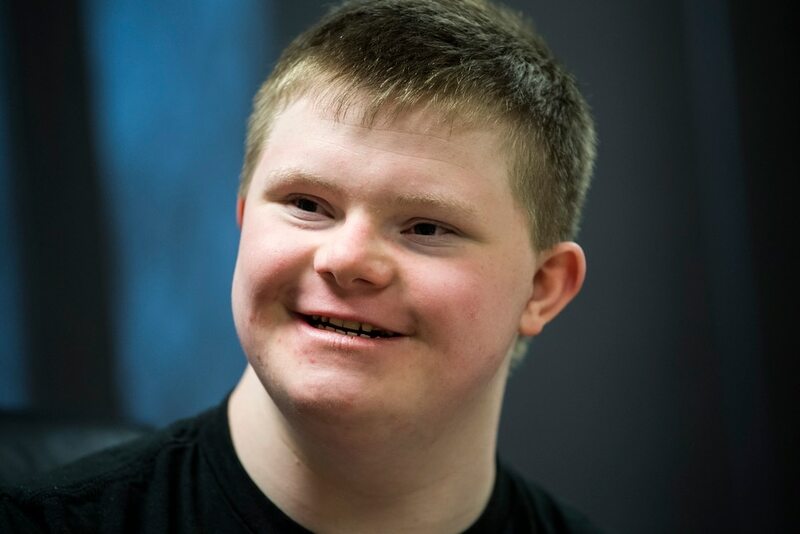 Outside of Special Olympics, in which Logan earned medals for swimming, he’s never had a community of peers like that. Diane Blythe said that as Logan tried for different merit badges, she and her husband learned more about what their son could do. For instance, she said, when he learned to tie knots for a badge, they were shocked and surprised at his capability. He also started a campfire. But the Blythes also admitted that they had helped Logan with a number of aspects required by the merit badges and Eagle project. Local leaders seemed to agree that Logan should have a shot in the Scouts, which says it welcomes special-needs children, Chad Blythe said. The lawsuit outlines an alleged rift between the national Boy Scout organization and its Utah counterparts. McBride said that’s part of the reason Logan advanced within the program as much, and as long, as he did: because local leaders didn’t want to bar him from participating. “They’re being caught between their moral values and ethics versus the [national] Boy Scouts,” he said. Delimarkos said local group officials sought the national organization’s help after they approved the project, because they were concerned the project didn’t meet the Eagle qualifications. While the Utah National Parks Council released a statement regarding Logan’s case, it didn’t respond to The Salt Lake Tribune’s request for comment on the lawsuit’s assertion that its stance differs from or conflicts with the national group. If it does, McBride has a theory for why: The local leaders’ sense of what is right and wrong is likely also fueled by Utah’s predominant religion: Mormonism. 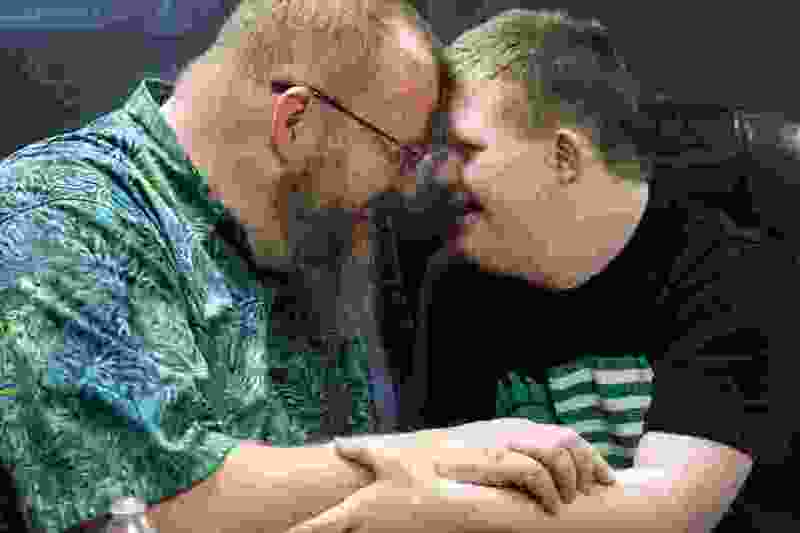 They’re split, McBride said, because the Boy Scouts aren’t showing intellectually disabled members the same tolerance one would expect from The Church of Jesus Christ of Latter-day Saints. The LDS Church has a major role with Boy Scouts in Utah. For Mormons, Chad Blythe said, having a child become an Eagle Scout is almost akin to the child graduating high school. The Scouts are so prominent in LDS culture that the number of Eagle Scouts produced in Utah surpassed all other states in 2016, according to Scouting magazine. Within the church, when a child becomes an Eagle Scout, it’s a signifier that he or she was “raised right,” Chad Blythe said, using air quotes. After years of being told their son couldn’t do things other kids could, and knowing he’d never achieve many rites of passage within the LDS Church, such as going on a proselytizing mission, the Blythes said scouting appeared to be one of the few things he could do. Chad Blythe got an email from Debby Robert — a Utah National Parks Council employee who is listed as a defendant in the suit — a day after Logan’s Eagle Scout project, to distribute care kits for newborns a local hospital, was approved. It began by telling him that the project was suspended and that Logan should stop working on it. National organization policy required that Logan “MUST” complete merit badge requirements as written and that he should “plan, develop and carry out” his project on his own. The Blythes went ahead and did some of the project, just to keep up appearances for Logan. He sensed something was wrong, though, Chad Blythe said. Logan knew his family was elated when his project was approved. Then he saw the disappointment when the project was suspended. Later, he watched his mom and dad clear his project materials from the house. The lawsuit’s goal is for the national organization to recognize Logan’s merit badges so he can become an Eagle Scout. But it’s not clear whether Logan would want to go back, McBride said. Even if his son didn’t want to return to the Boy Scouts of America, Chad Blythe said he’d be happy if the organization added one line to its badge requirements.